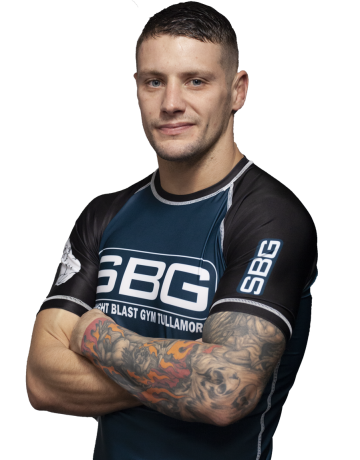 Michael Davern, CrossFit and Growing Gorillas Coach at SBG and CrossFit Tullamore, is an RX CrossFit Athlete and purple belt in Brazilian Jiu Jitsu under Kieran Davern. Michael’s passion has always been in fitness and both personally and professionally he has competed at the highest level and always strives to challenge himself and educate himself to become the best athlete and coach he can be. A sponsered Koncept Sportwear Athlete, Michael has competed in various competitions such as War of the WODs Ennis, Blanchardstown Throwdown and the Filthy 150 to name a few. Michael also actively competes in Brazilian Jiu Jitsu.